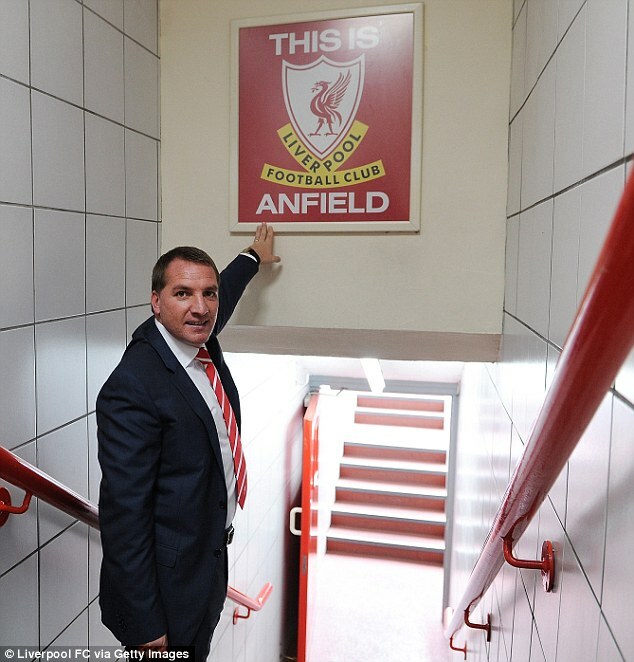 New Liverpool manager Brendan Rodgers has promised he will "fight for his life" to bring success and ultimately the title to Anfield. 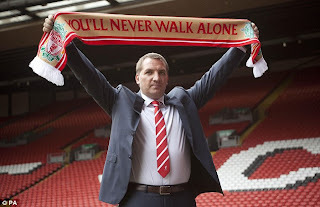 Rodgers also admitted the chance to manage a footballing 'dynasty' like Liverpool was too good to turn down. The Northern Irishman was officially presented as new Reds boss on Friday after a compensation package was agreed with Swansea. Swansea are understood to have agreed a £7m compensation package for losing the services of Rodgers, coach Colin Pascoe, assistant performance analyst Chris Davies and performance consultant Glen Driscoll. Rodgers is believed to have signed a three-year deal. At his unveiling Rodgers said: 'I'm very proud, it's a club with wonderful tradition and I feel very blessed with the opportunity to manage the club. 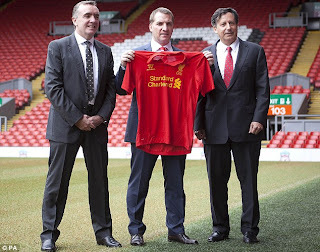 Liverpool managing director Ian Ayre explained there would be a new set-up on the football side. 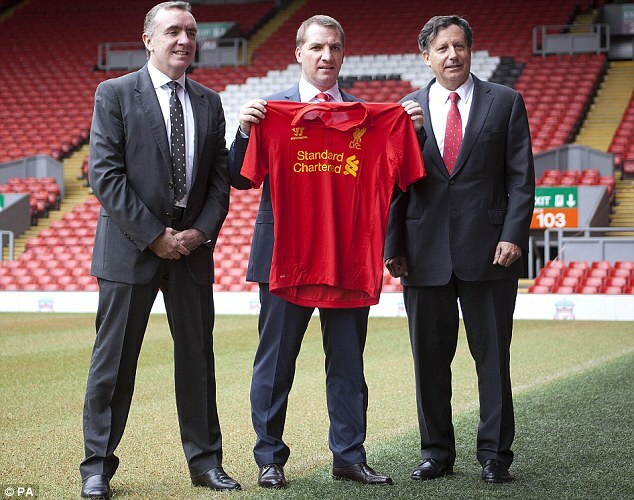 The club have also scrapped plans to appoint a director of football - at Rodgers's request. Instead the club will create a "committee" which will make decisions on the running of the football side, including transfers. He won praise for his attractive style of play at Swansea and initially turned down an approach from Liverpool before it became clear he was their preferred target. Liverpool fans have given a mixed reception to the appointment of Rodgers but the new man in charge at Anfield has vowed to win over the doubters. Liverpool have won the title 18 times in their history but the last time they were crowned champions was 1989-90.